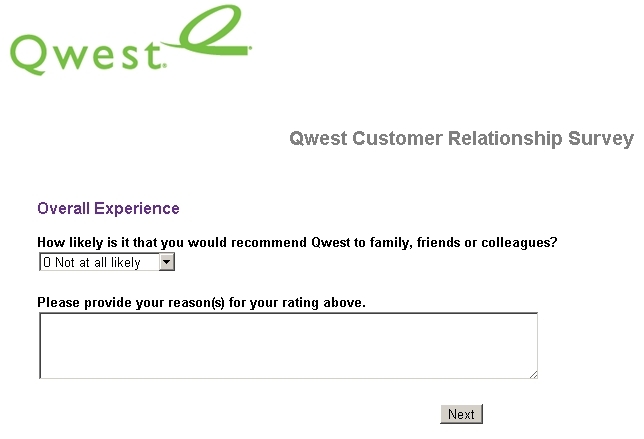 The Irony of the Qwest Customer Service NPS Loyalty Program. I’m considered “Mass Market”. Let me explain. Is that what I’ve become? 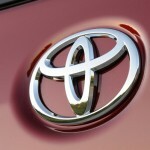 A Mass Market? 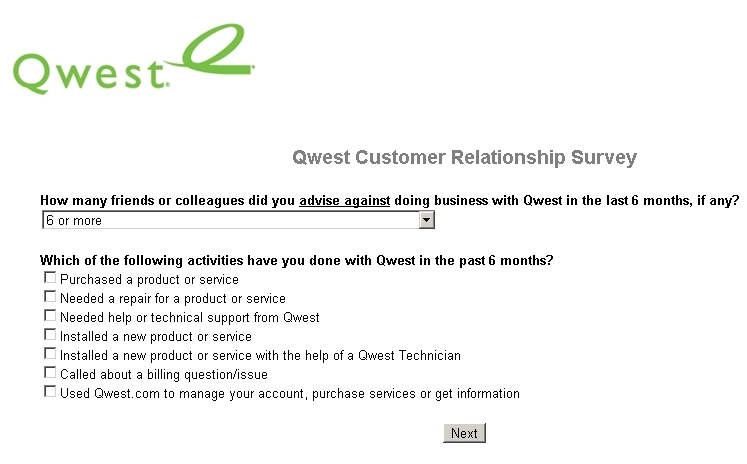 Does Qwest really call their customers “Mass Market”? As part of our commitment to improve your experience with our product, services and people, I am asking for your assistance in providing valuable feedback by participating in our Customer Relationship Survey. Your opinion is extremely valuable to us, and the information collected from the survey will be reviewed and acted upon by Qwest as part of our continuous improvement efforts. Satmetrix, a leading provider of customer experience management solutions, will be conducting the survey on our behalf. The survey will take about 5-8 minutes to complete. To access the questionnaire, please click here. 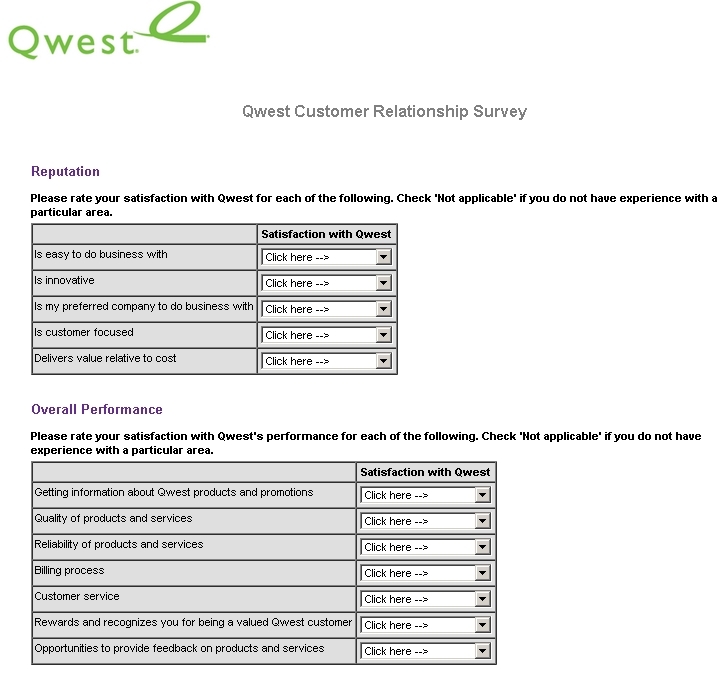 The irony in all of this is this: the incredibly impersonal, corporate-speak email is about a customer relationship survey asking for Net Promoter Score from Satmetrix information – on whether I’d recommend Qwest to a friend. It’s clearly both. The message that Qwest sent is impersonal; the messenger’s job title puts me squarely amongst millions of other blob-like customers – heck, we’re a Mass Market; kind of akin to “a bunch of customers” or “a grundle of people” or “revenue producing population” – you know, all really warm and fuzzy labels that repel rather than create loyalty. 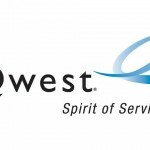 To their credit, they probably recognize that Qwest Customer Service and Qwest products aren’t very good and that there is wholesale Detractors (NOT Promoters) for Qwest. 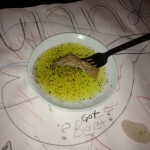 Simple measures can make a big difference. Instead of “Dear Customer”, how about using a <name> variable that inserts the customer’s first name instead. That would be more personal and show that you might care a little bit. The title “Mass Markets” is just so impersonal. Even as an internal job title, it’s just not good – I’m sure there are human resource professionals that would agree with me on this point. Regardless, if Qwest chooses to keep that as an internal job title, at least don’t announce it in the signature of a huge email campaign. “Mass Markets” – please. 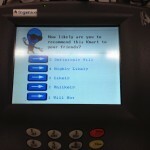 I think if Qwest had done my two suggestions above, it would’ve been a much better email communication. And, heck, the content of the email might actually be more aligned with the spirit and intention of the email. How many friends or colleagues did you advise against doing business with Qwest or CenturyLink in the last 6 months, if any? I have a grocery member card from a Kroger company here in the Seattle area. Once you put your phone number in, the screen says “Welcome Valued Customer”. I know they have my first name, why don’t they use it on the screen. “Valued customer” sounds so impersonal.